Grab the surf and have a great summer experience while you ride the wave of wealth with Winning Waves Slots, a slot game with a perfectly shaped summer atmosphere and a very accessible gameplay. 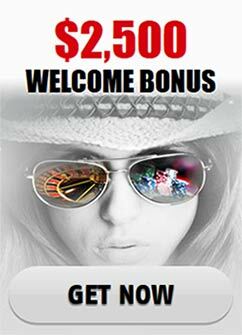 The slot has 5 reels and 20 paylines, an expertly put together sound and visual design and plenty of coin sizes starting at 1 cent and ending at 10 dollars, making the biggest bet possible 200 dollars. There might not be an overabundance of symbols or extra features in the game but the size of the multiplier awards in the game fully make up for that. The symbols that will assist you on the beach are naturally the sun, which also takes on the role of the symbol, which will grant you immediate access to the jackpot, a single bar symbol, a two bar symbol, a three bar symbol and there is also the number seven symbol. A certain downer among the symbols of this game is the palm tree, because it delivers no payout of any kind whatsoever. If you want to score big and go for some game-changing prizes, you are advised to always bet the maximum amount of coins and coin value and under reasonable circumstances you could receive 40,000 dollars, which isn't even the biggest award possible. The lack of symbols and bonus features really limits the capabilities of Winning Waves’ symbol combinations, so make sure you double check that paytable in order to be fully aware of what exactly to watch out for on the reels. There is one surprise with this slot game as far as combinations go: they can be formed in a diagonal line as well. The good thing about the game is that it is cozy for every kind of player. If you are too afraid to make a big move, you can just lay low with your bets. If on the other hand, you happen to be a bold player, there are plenty of giant, hard to resist awards this slot can offer and with a simple set of rules like the ones of Winning Waves getting the biggest awards only happens through the biggest risks. Additionally, players who decide to try out this slot game need to be aware that the sun symbol creates the most combinations. The jackpot in the game is 175,000 dollars and the requirements for it are as follows: betting all the five coins, using the biggest coin size available and landing on the reels three jackpot symbols in the highest line visible. Winning Waves is not as simple as it looks-its winning combinations might initially seem unimpressive but at its best, this game can compete with the very best of online slots, especially when you consider the top rewards.